Money truly is a necessary evil, especially when you’re a business owner. The business world stops dead in its tracks without financing. It’s imperative that you keep proper records of where every dime of the company’s money is spent and earned. If you have a very large business, then you know that this can’t always be done on your own. Sometimes it’s necessary to bring in assistance. If your main goal is to save as much money as possible for your business, then we can help you get started on that journey. 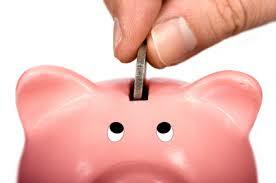 Here is a quick overview of five quick tips to save your business the maximum amount of money. Your neighboring businesses have a common interest in saving money too. Utilize that desire to your benefit. Offer to split the advertisement costs, and host a big sale together. As long as you don’t have the same type of businesses, this will benefit the whole community of business owners. Building a solid rapport with your surrounding community will most definitely benefit everyone in the long run. Be friends! Word of mouth is free advertising. Facebook and Twitter are free advertising. Building your own blog is free advertising. Do you see where this is going? Wear your company logo, and be vocal about big developments within the company. That way, people won’t be able to escape at least being knowledgeable about your business. There are thousands of ways to utilize the internet for free advertising. Don’t squander this resource. You may not be aware of this, but your vendors are in a competitive market just as you are. You don’t just have to pay them what they say you have to pay them. You can negotiate prices. They want your business. Always remember that. Sounds crazy, doesn’t it? By a diet, we mean for you to take a thorough inventory of your company’s costs, and pinpoint one of those expenses that is not contributing to the success of your overall goal. It’s likely that once you start digging, you will identify many more than just one culprit. Thinning down isn’t just made to apply to people. Apply it to your business. Not all operations are capable of supporting telecommuting employees, but if it’s possible you shouldn’t shy away from the possibility. You could save a monumental amount of money. There would be no cost for office space or monthly energy consumption, and you wouldn’t have a problem with your employees commute being impassible or making them late for their shift.